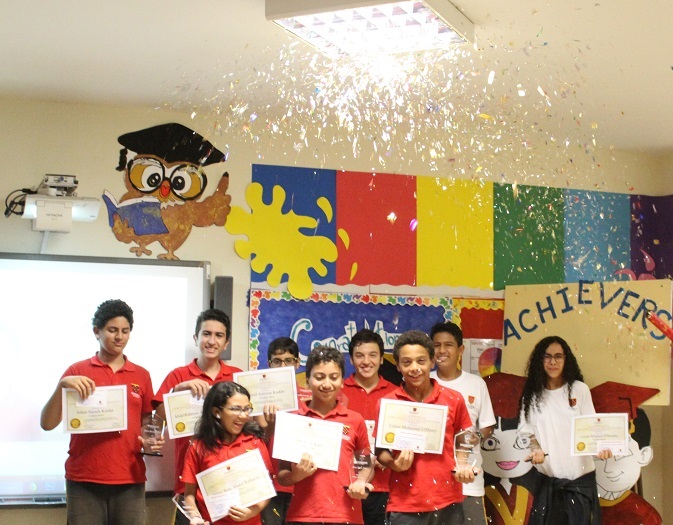 It is a great pleasure to introduce you to Windrose Academy, the leading International British School in Cairo. Our mission is to develop the learners of today into the leaders of tomorrow and prepare them to perform at the highest professional level across the globe. We strive to provide a premium quality education for all students. Our international British curriculum is recognized around the world for its academic rigour, as it helps them grow both academically and socially. We are very proud of what our students achieve at school every day. Our teachers use a blended learning approach to deliver the Cambridge British Curriculum in the most convenient way. We maintain the highest standards in education by recruiting the best teachers in the market and delivering constant professional development. We partner with top-tier experts from the United Kingdom to constantly update the knowledge of our teachers. This website will provide you with ample information about our school. Please browse through it and don’t hesitate to contact us to learn more or to book a tour of our campus. Fill your online application form as a first step into the admission process. A great day for all!! The school was delighted to welcome so many mothers and grandmothers to our school for this important event. There were a wide range of individual and group performances to celebrate and entertain their mothers throughout the morning. The day also included a mixture of joint games and activities for mothers and children to share in together. They enjoyed the many stalls set up by outside caterers and crafts people. All in all, a very happy, family day to repeat again next year. On February 28th our Foundation Stage celebrated the 100th Day of School. We can’t express the true excitement and tremendous fun the children had on that day. They made projects, sang songs, played games, and did so many things with the number 100 that it became their best friend! It was such an extra ordinary day! Children had a day to remember and we were so proud of their wonderful accomplishments! We were pleased to welcome our educational consultants “Carfax” to our school last week. This is part of our regular ongoing relationship with this international group of educational specialists. They provide valued advice and guidance around a wide range of educational matters. It’s been very exciting as we had our Charity Drive and the Week of Kindness recently, starting on November 11th. In the beginning, many just considered ‘kindness’ as another topic or as something we’ve already all learned. However, after we started discussing and doing activities about kindness, it’s like we saw a light of kindness shine around our school. It was very encouraging to see children try to focus more on being kind and respecting each other, along with staff members show extra steps of kindness. Many were very enthusiastic about the Dance of Kindness that we had with about 200 students performing dance steps to a song about unity and kindness. We’ve also had activities with students passing out kind notes, doing random acts of kindness with each other, making cards and classes choosing a project of kindness, like collecting toys for an orphanage. 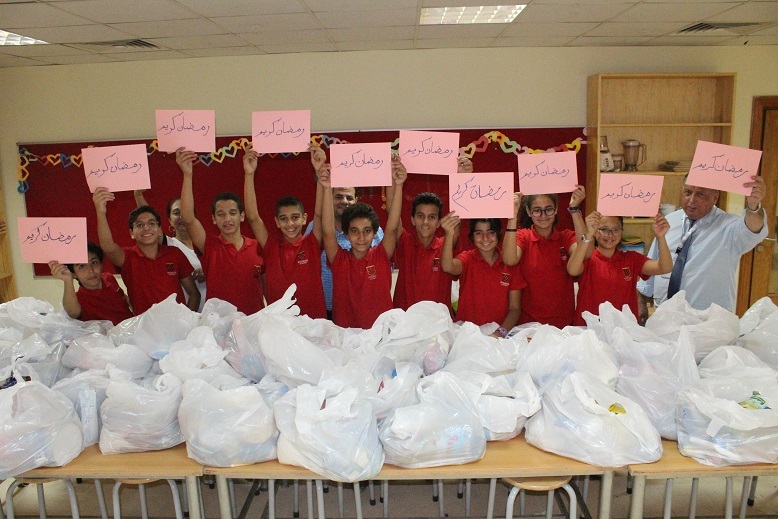 As a part of our Charity Drive, we’ve had tons of children and staff participate in collecting funds to give to the hospital Abu Resh. Then, we had a special day where some students and staff made a trip to the hospital to give and support those in need. It has been an honour for our school, Windrose Academy, to participate in these events. The school’s first Parent Consultation Day took place on 1st of November at the end of Half-Term break. A big thanks to all of those committed parents who were able to attend and many appreciated the opportunity to discuss in details their children’s performance and development with their teachers. What a fantastic day the children had in (FS) on the 3rd, (Year 1-3) the 4th & (Year 4-9) the 5th of April for their annual Sports Day. How lucky we were with the weather too! 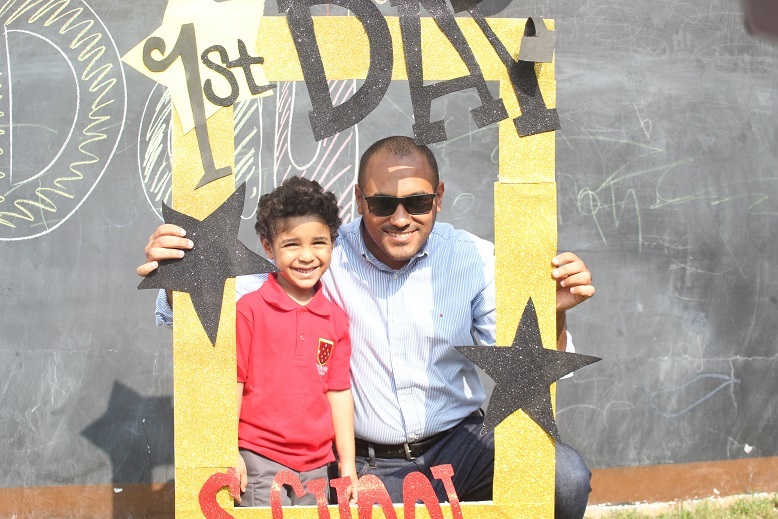 The Lower and Upper School children were able to compete with great skill and determination in field events ranging from fun games to races and friendly competitions among our lovely parents, not to mention the most famous dances by our Dance & Movement teacher Mr. Mina. All the children tried their hardest and there were some outstanding performances from all age groups. It was lovely to see the children being competitive and determined but also showing great encouragement and sportsmanship towards each other throughout the day. Thank you to the P.E. department and all of our staff who participated in this great big even. Also, thank you so much to our lovely parents for their great participation at the event. It was fantastic to see so many parents supporting their children in all the different activities. Last but not least, congratulations to all our children in all House Teams for participating in what I hope was a very enjoyable day. Foundation Stage celebrating 100 days of school! Last week our Foundation Stage students celebrated 100 days of school. the Children did a lot of fun activities like putting the number ‘100’ on their class ‘Days of School’ chart,making a 100 link paper chain, a 100 gumball machine poster, a 100 item royal crown, a 100 ‘Fruit Rings’ cereal necklace and completed many, many more projects and activities. Also our FS students went outside for an outdoor time and bounced 100 times on our GIGANTIC bouncy castle, popped 100 bubbles from a bubble machine and did 10 exercises- 10 times each, for a total of 100 exercises! Afterwards, all FS classes joined together in the Assembly Room and counted together to 100 before having a “super fun” dance party and popping TONS of party poppers in the room which was filled with 100 balloons! The Children and teachers had SUCH a fun time. It truly was a day to remember. 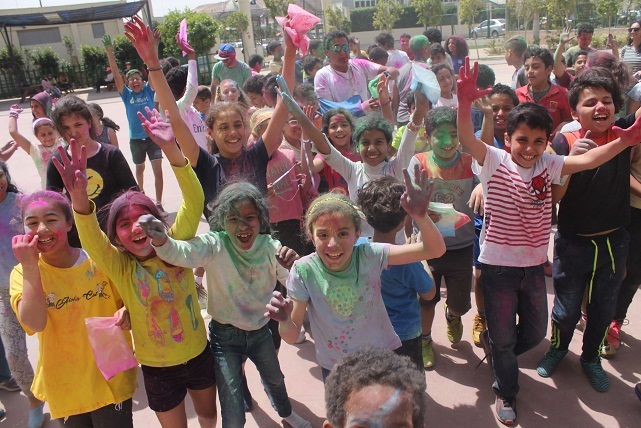 Last week, during the mid-term break our year 6,7, and 8 students attended an overnight camp with Wellspring in Beit el Wady. The camp aimed at developing and building our students’ character, enhancing their athletic skills as well as teaching our students core value such as Teamwork, Integrity, Excellence, Service, Passion, and Leadership that will help them become better individuals. Our students had a blast at the camp!!! Last week we held Spelling Bee Competitions for Years 1, 2. The competitors in the final round in both year groups did a great job. Also, during the same week, another Spelling Bee Competition took place for year 6 but in a different format. Year 6 classes were divided into small groups and the competition was between these groups. Congratulations to the winners and best of luck for everyone else in the upcoming competitions. Another star shining in Windrose sky!!! Our champion Adam El Fayoumy in Year 8 just got the 2nd place and a silver medal in the Cairo Swimming Championship – winter 2018 – Age group 13 years. We are very proud to extend our heartfelt Congratulations to him on his achievements and medals in his swimming championship! May he always be blessed and rewarded for his hard work and perseverance. 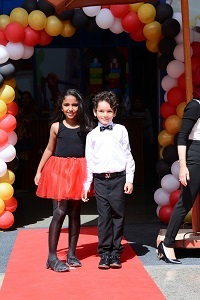 Adam Metwally in Year 2A won the second place in the UCMAS international competition!! Congratulations to Adam Metwally in Year 2A who got the second place in the 22nd UCMAS ABACUS & Mental Arithmetic International Competition!! This was a remarkable achievement for him bearing in mind the large number of students who competed in the competition.Well done Adam! Windrose Academy is delighted to announce that our Football team (Under 12) lead by Mr. Mostafa our P.E. Teacher has won the 1st place in the International Schools Football Tournament (ISSOC) last Wednesday 17th of January 2018. The competition was between 10 international schools. It is also worth mentioning that our football team (under 10) has won the second place in the same tournament last term. good job our champions and best of luck in the upcoming competitions!! To newly enroling parents, Windrose Academy is happy to announce early enrolment offers for the 2018-2019 academic year. To learn more, come visit us on campus from Sunday to Thursday from 08:00 to 16:00. Windrose Academy is happy to announce that the enrolment process for the 2018-2019 academic year is open. Come visit us for a school tour and learn about our early enrolment offers. We’re open from Sunday to Thursday 08:00 to 16:00. The start of Term 3 has been busy with several activities. As part of our Ramadan Food Drive, generous donations were collected by the Windrose Community for those in need. The school administration would like to thank all the parents, students and staff members who supported this initiative. On another note, Key Stage 1 students completed last week the final round of KS1 Spelling Bee competition. We are proud of the considerable improvement observed in our students’ spelling skills. Environmental awareness was also on the agenda. This week Dr. Ehab Adly from the United Nations honoured us with a presentation to KS2 & KS3 students about environmental issues. The environmental challenges highlighted in this inspirational talk set the tone for our own Environmental conference. “Protecting our Environment” will be an essential theme of work in the academic curriculum and on the agenda of our school council. It’s practical science week at Windrose Academy! Part of the staff’s continuous professional development plan, teachers and students are experiencing the very best in practical science this week. 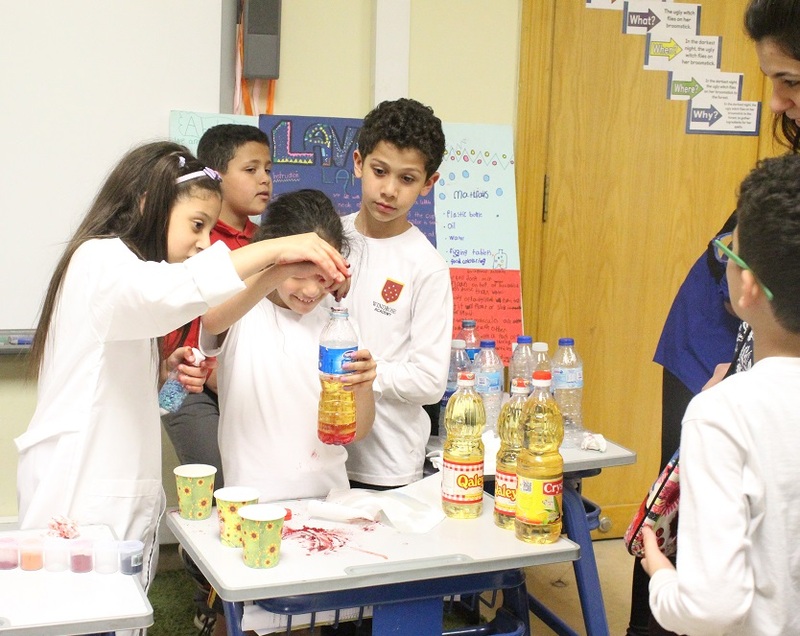 International experts are present with us this week to showcase best practices in conducting practical science experiments jointly with the teachers and the students. The focus on practical science is part of the many actions taken by Windrose Academy to align teaching with international standards and maximize learning for the students. Windrose Academy students were delighted to welcome their mothers in their class. From Foundation Stage to Key Stage three, students showcased what they learned at Windrose Academy to express their love for their mothers through songs, music and performances that they prepared diligently with their teachers. A big thank you for the Arabic Department and all the Windrose team for the effort put in preparing that day. It was a true “Family Day”to remember. We are proud to inform you that the Arabic version of our website is now available. You can get updated school information in Arabic here. The school has appointed a new permanent teacher for Y4(B) she is working closely with her colleagues in Y4(A) to ensure that the Cambridge curriculum is fully covered and students’ education continues smoothly. Staff are beginning a series of after school sessions in how to make best use of the extensive ICT and computer resources which the school has. We look forward all students having even wider access to these facilities and is gaining the skills they will need to be successful learners in the 21st century.